THE ‘DEMIGODIFICATION’ OF PUBLIC SERVICE | Thoughts of a Calabarboy. 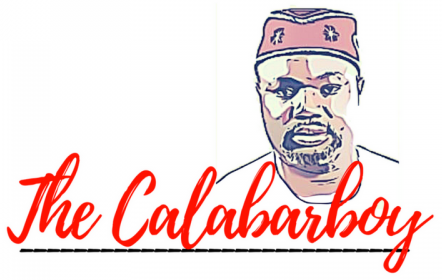 THE ‘DEMIGODIFICATION’ OF PUBLIC SERVICE – Thoughts of a Calabarboy. I promise this wont be long. Let me start by explaining what public service means. From there you can extrapolate what it is not, as these days I spend little time dealing with negatives. Public service is a service that is performed for the benefit of the public or its institutions. And a public servant is someone who performs such service. So in deconstructing these words I find that the public comes first before the nature of the service. But let me ask. Have you ever been to an office which is supposed to be rendering public service, and the people there act as though they were servicing the public? This is fast becoming the definition of public service; a service by high-minded individuals, who display unauthorized power over a given setting to frustrate the public. Somehow the service has become of more importance than the recipient and the public servant has suddenly become the public master. Today in Nigeria, it’s as though any opportunity people get to assume a position, no matter how little, they become power drunk. Even the very security at the gate of a rich man, can display amazing levels of arrogance, not to talk about the cashier at the teller, or even the customer service person waiting to help you. Even taxi drivers, who depend on your change for survival, tend to throw their services at your face. I once went to a bank to do some transaction and some well dressed lady saw me standing in front of her. Yet she received a personal call and talked for some minutes before turning to me without a word of courtesy. I felt like slapping her, except for the fact that would have reduced me to her standard as well. Everywhere you go people seem to become demigods with the little in their hands. And I ask what then it is with the highest public officials in the land? Little wonder we have the quality of life we do. People don’t care about serving others, but to lord it over them. You walk into an immigration office to get your passport; you are literally crawling on your knees begging to be attended to. What about the airport, the custom officials treat you as though you were a petty thief (because they surely worship the bigger ones), and ruffle and shuffle you as though a piece of thrash. Policemen are the worst. Having a baton or a pistol in their hands automatically transmogrifies them into tin gods itching to snap a finger at you. The men who are meant to protect us have become the greatest threats to our lives on the road. Our public servants have become the broken spokes in the wheels of governance that a simple process has become an excruciating wait for hours. If we were to quantify in figures what waste we experience due to sloppy public service and high-minded exertion of personal incompetence in our public institutions and even the private enterprises, we would be staggered at the huge cost of inefficiency. In every hour of service, we probably lose 30 minutes due to people trying first to show themselves as demigods and impress you beyond measure, while for the remaining part one is till subjected to unsatisfactory service. We need to rid our system of such nonfeasance and malfeasance or even ‘over-feasance’. We need to come to a point where we know that we are first responsible to the person standing in front us and do everything within our capacity to help. This is what creates an efficient system, when public servants become responsible to the public and know that their role is to enhance the quality of people’s lives and play down their personal deficiencies. → WHERE ARE THE GOOD MEN? ← IS THERE HOPE FOR THE REST OF US?